Niagara Falls, July 14, 2016 – John Beaucage, the Chair of the First Nations Market Housing Fund (the Fund), announced today that Northern Savings Credit Union in British Columbia has joined the Fund as a participating lender. In addition, Teslin Tlingit Council in the Yukon and the Tsartlip First Nation in British Columbia have become First Nations partners approved for the Fund’s Credit Enhancement facility and Capacity Development program. “Northern Savings is pleased to carry out our vision of ‘neighbours helping neighbours to build sustainable communities’ through our partnership with the First Nations Market Housing Fund. We look forward to assisting First Nation borrowers in communities we serve in fulfilling their vision to own, build or renovate a home,” said Jackie Rumney, Senior Manager, Retail & Wholesale Lending. To date, 211 First Nations have chosen to work with the Fund and the Fund has now approved credit for more than 5,750 loans representing a potential investment of more than $862 M in First Nations communities across Canada. The Fund is an innovative initiative established by the Government of Canada, through Canada Mortgage Housing Corporation (CMHC), to give First Nation citizens greater access to home loans in First Nations communities. The Fund is a registered not-for-profit trust that was born out of what has become known as the Kelowna Accord. The Fund became operational in May 2008. The federal government made a one-time investment of $300 million in the Fund. This investment, held in trust, has the potential to leverage $3 billion in investments in homes on reserve and on settlement lands and lands set aside for First Nations across Canada. 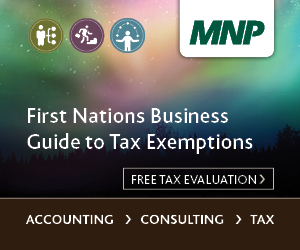 It is completely voluntary for First Nations to make use of the market-based fund. The Fund recognizes the uniqueness of First Nation communities and works with them on their own timelines to provide them with the choice and flexibility they need to provide viable housing options. Strengthening First Nation communities and supporting increased self-sufficiency by providing financial literacy and financial management tools, enhancing the governance framework and developing capacity with education, information and innovative services. Northern Savings Credit Union joins a growing list of financial institutions across Canada which have chosen to finance loans backed by the Fund, including BMO; Peace Hills Trust; First Nations Bank of Canada; Vancouver City Savings, Affinity and Valley First Credit Unions; Envision Financial; Desjardins Group; and six Caisse populaires in Ontario located in Hearst, Kapaskasing, Verner, Alban, Noëlville and Sturgeon Falls. Community-based, member-owned, and democratically governed, Northern Savings is proud to have been part of the credit union system since 1940. From its very modest beginnings as a savings and loan cooperative, Northern Savings has built itself into one of the largest credit unions in Northern BC, with assets over $900 million. Personal and commercial banking, insurance, and wealth management services are provided by dedicated professionals who provide top-notch service and trusted advice in Masset, Prince Rupert, Queen Charlotte and Terrace. The Inland Tlingit community of Teslin is a self governing Nation located on the shores of Teslin Lake in southern Yukon, 180 kilometres east of Whitehorse. The village was once a summer gathering site and resting place among the Coastal Tlingit travelling inland during seasonal trapping, hunting, and harvesting. They brought with them their clan system, potlatch tradition, language, songs and dances, which remain strong. The traditional territory of the Teslin Tlingit spans parts of the Yukon and British Columbia. A permanent settlement was formed in Teslin in the 1940’s during the building of the Alaska Highway. When the movement for a Land Claims settlement began in 1973, Teslin Tlingit were active participants in the negotiating process, and in 1993, became one of the ‘first four’ First Nations to successfully conclude agreements. The self governing Nation has title of 2,395.74 square kilometres of Settlement Lands with law making powers on behalf of over 800 citizens, 300 of which live in the village of Teslin, and 300 in Whitehorse. The governing body provides leadership of the Nation, and meets annually with its citizens in General Assembly. A traditional clan system Council recognizes five clan leaders, or spokespersons, chosen by their respective clans, while the Chief is appointed by Elders and the General Assembly. The Teslin Tlingit Council is actively involved in the implementation process, attempting to build new ways of becoming self sufficient in a contemporary world while continuing to prosper in the traditional ways, retaining the language, culture and laws for future generations. The Nation’s Capital and Infrastructure Department manages 40 rental units in Teslin and encourages its citizens to accept the responsibility of home ownership through program incentives for affordable housing, upgrades and the building of new homes. The First Nations Market Housing Fund is a welcomed opportunity in the community for expansion of privately owned homes or market rental housing, in response to a growing demand for housing. A signatory to the Douglas Treaty of 1850, Tsartlip First Nation is one of four Saanich tribes situated on the Saanich Peninsula of British Columbia’s Vancouver Island. (Saanich Nations include Pauquachin, Tsawout and Tseycum). Meaning “land of maples” in the SENC’OTEN language, the Nation’s main community is South Saanich Indian Reserve 1, located near the town of Brentwood Bay. The membership total of Tsartlip is 982, with the majority of 684 citizens living on reserve. The Nation has been recognized for its improved housing policy practices over the years with collections, enforcement, community education, and client counselling efforts provided to Tsartlip members in support of meeting their housing obligations. There are 188 houses in the community including rental, rent-to-own, and more than half of privately owned builds. Tsartlip remains committed to seeking alternative financing that benefits membership housing, and is considering the expansion of market housing projects that might include new construction, rental units, and an Elders/safe home on its communal lands in partnership with the Fund. In addition to the Band office, community facilities offer employment on the Nation’s territory including the health centre, school, school board, and the offices of the First Peoples’ Heritage, Language, and Culture Council. Tsartlip operates a boat launch, and in 2014, opened a gas station and convenience store. Niagara Falls, le 14 juillet 2016 – John Beaucage, président du Fonds pour les logements du marché destinés aux Premières Nations (le Fonds) a annoncé aujourd’hui que Northern Savings Credit Union, en Colombie-Britannique, devenait prêteur du Fonds. De plus, le Conseil des Tlingit de Teslin, au Yukon, et la Première Nation de Tsartlip, en Colombie-Britannique, sont devenus des Premières Nations partenaires approuvées aux fins du mécanisme d’amélioration des modalités de crédit et du Programme de renforcement des capacités du Fonds. M. Beaucage a accueilli l’ajout d’une nouvelle institution financière qui offre des prêts hypothécaires aux Premières Nations en Colombie-Britannique, soulignant que « des modalités concurrentielles contribuent à créer des règles du jeu équitables pour les emprunteurs des Premières Nations et à faire en sorte que les familles des Premières Nations se rapprochent de leur rêve de posséder un logement ». « Northern Savings est fière de porter notre vision, à savoir ʺaider les voisinages à bâtir des communautés durablesʺ par l’intermédiaire de partenariats avec le Fonds pour les logements du marché destinés aux Premières Nations. Elle se dit impatiente d’aider les emprunteurs des Premières Nations au sein des communautés desservies par son institution en réalisant leur rêve de posséder, de construire ou de rénover un logement » a déclaré Jackie Rumney, gestionnaire principale, Prêts au détail et de gros,. À ce jour, 211 Premières Nations ont choisi de collaborer avec le Fonds et ce dernier a désormais approuvé plus de 5 750 emprunts, ce qui représente un investissement potentiel de plus de 862 millions de dollars au sein des communautés des Premières Nations du Canada. Carl Sidney, Nha Shade Heni du Conseil des Tlingit de Teslin, a déclaré que « le Conseil continue à améliorer le développement de la communauté et offre des occasions à ses citoyens. Le Conseil encourage et soutient l’accession des citoyens à la propriété par l’intermédiaire d’un partenariat et d’une collaboration avec le Fonds pour les logements du marché destinés aux Premières Nations. Ensemble, les deux organisations bâtissent une communauté saine, sécuritaire et autosuffisante ». Pour sa part, le chef Don Tom de la Première Nation de Tsartlip a affirmé qu’« il s’agit d’une période emballante pour travailler avec le Fonds pour les logements du marché destinés aux Premières Nations et il est très important que sa communauté bénéficie de plus d’options en matière de logement ». Le Fonds est une initiative novatrice mise sur pied par le gouvernement du Canada, par l’entremise de la Société canadienne d’hypothèques et de logement (SCHL), dans le but d’offrir aux citoyens des Premières Nations un meilleur accès aux prêts pour l’habitation dans les communautés des Premières Nations. Le Fonds, une fiducie enregistrée à but non lucratif, est né de ce qu’on appelle maintenant l’Accord de Kelowna. Le Fonds est devenu opérationnel en mai 2008. Le gouvernement fédéral a effectué un investissement ponctuel de 300 millions de dollars dans le Fonds. Cet investissement, détenu en fiducie, a le potentiel de mobiliser 3 milliards de dollars en investissements dans des logements dans les réserves et sur les terres désignées et les terres mises de côté pour les Premières Nations dans tout le Canada. Le recours au Fonds est un geste entièrement volontaire de la part des Premières Nations. Le Fonds reconnaît la singularité des communautés des Premières Nations et travaille avec elles selon leurs propres échéanciers afin de leur donner le choix et la souplesse dont elles ont besoin pour offrir à leur communauté des options viables en matière de logements. renforçant les communautés des Premières Nations et en leur permettant d’accroître leur autonomie grâce à des outils de littératie et de gestion financière, en améliorant leur cadre de gouvernance et en développant leur potentiel par l’éducation, l’information et des services innovateurs. Northern Savings Credit Union se joint à une liste de plus en plus longue d’institutions financières au Canada qui ont choisi de financer les prêts garantis par le Fonds, dont BMO; Peace Hills Trust; la Banque des Premières Nations du Canada; Vancouver City Savings, Affinity Credit Union et Valley First Credit Union; Envision Financial; le Mouvement Desjardins et six Caisses populaires de l’Ontario situées à Hearst, Kapaskasing, Verner, Alban, Noëlville et Sturgeon Falls. Northern Savings Credit Union est un organisme communautaire, qui appartient à ses membres et est régi démocratiquement. Il est fier de faire partie du système de crédit depuis 1940. Depuis ses débuts très modestes comme coopérative d’épargne et de prêts, Northern Savings est devenu l’une des plus importantes coopératives de crédit du Nord de la C.-B., avec un actif de plus de 900 millions de dollars. Des professionnels empressés offrent des services de haut calibre et des conseils avisés sur les services bancaires personnels et commerciaux, d’assurances et de gestion de la richesse à Masset, Prince Rupert, Queen Charlotte et Terrace. La communauté Tlingit de l’intérieur est une nation autochtone située sur les rives du lac Teslin, dans le sud du Yukon, 180 kilomètres à l’est de Whitehorse. Le village a déjà servi de lieu de rassemblement estival et de lieu de repos pour les membres de la communauté Tlingit côtière qui se déplaçaient vers l’intérieur du pays pendant la trappe, la chasse et la récolte. Ces derniers ont légué à la communauté leur système de clan, leur tradition potlatch, leur langue, des chansons et des danses qui sont toujours très présents dans leur culture. Le territoire traditionnel des Tlingit de Teslin s’étend sur certaines régions du Yukon et de la Colombie-Britannique. Une colonie permanente a été formée à Teslin dans les années 1940 pendant la construction de l’autoroute de l’Alaska. Lorsque le mouvement de revendications territoriales a commencé en 1973, les Tlingit de Teslin ont participé activement au processus de négociation et sont devenus, en 1993, l’une des « quatre premières » Premières Nations à conclure une entente. La Première Nation autonome dispose de 2 395,74 km2 de terres visées par règlement et est dotée de pouvoirs législatifs au nom de plus de 800 citoyens, dont 300 habitent le village de Teslin et 300 autres, celui de Whitehorse. L’organisme dirigeant mène la nation et rencontre chaque année les citoyens dans le cadre d’une assemblée générale. Le Conseil, faisant partie du système traditionnel de clans, reconnaît cinq chefs de clan, ou représentants, choisis par chaque clan. Le chef est nommé par les aînés et les membres de l’assemblée générale. Le Conseil des Tlingit de Teslin participe activement au processus de mise en œuvre, en vue de trouver de nouveaux moyens de devenir autosuffisant dans un monde contemporain tout en continuant de respecter sa tradition, sa langue, sa culture et ses lois pour les prochaines générations. Le ministère du capital et des infrastructures (Capital and Infrastructure Department) de la nation gère 40 logements locatifs à Teslin et encourage ses citoyens à accepter la responsabilité de l’accession à la propriété par l’intermédiaire d’incitatifs du programme favorisant des logements abordables, des rénovations et la construction de nouveaux logements. Le Fonds pour les logements du marché destinés aux Premières Nations est une occasion bienvenue dans la communauté puisqu’elle lui permettra d’accroître le nombre de propriétés privées et de logements locatifs en réponse à une demande grandissante de logements. Signataire du Traité de Douglas en 1850, la Première Nation de Tsartlip est l’une des quatre tribus Saanich situées sur la péninsule Saanich, sur l’île de Vancouver. (Les nations Saanich comprennent les Pauquachin, les Tsawout et les Tseycum.) La principale communauté de la Première Nation de Tsartlip, nom qui signifie « terre d’érables » en langue SENC’OTEN, est la réserve indienne South Saanich 1, située près de la communauté de Brentwood Bay. La nation compte 982 membres, et une majorité de 684 citoyens habite la réserve. La nation a été reconnue pour ses pratiques améliorées en matière de politique d’habitation au fil des ans grâce à des collectes, à la mise en application des politiques, à l’éducation de la communauté et à la prestation de conseils aux clients membres de la Première Nation de Tsartlip au sujet de leurs obligations en matière de logement. La communauté compte 188 logements, dont certains sont des logements locatifs et des logements en location avec option d’achat. Plus de la moitié sont des logements privés. La Première Nation Tsartlip demeure engagée à trouver un financement alternatif contribuant au logement de ses membres et envisage l’expansion, en partenariat avec le Fonds, de projets de logements du marché, qui peuvent comprendre de nouvelles constructions, des logements locatifs, des résidences pour personnes âgées et des maisons d’hébergement, sur ses terres. En plus du bureau de la bande, des installations communautaires offrent des emplois sur le territoire de la nation, y compris le centre de santé, l’école, le conseil scolaire et les bureaux du Conseil du patrimoine linguistique et culturel des Premiers peuples. La Première Nation Tsartlip exploite une rampe de mise à l’eau et a ouvert en 2014 une station-service et un dépanneur.